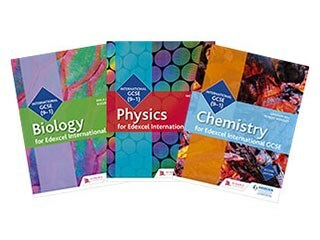 Ensure complete coverage of the latest Edexcel 9-1 International GCSE Science Specifications, with affordable student books and workbooks written by expert authors and teachers. Use the concise plan and teaching order to help shape your lessons and match the specification against our Student Books, with free, downloadable schemes of work. Written by expert authors and teachers; testing knowledge and building practical skills throughout. Student eTextbooks are downloadable versions of the printed textbooks that teachers can assign to students so they can download and view on any device or browser. Maximise every student’s performance with exam-style questions, sample answers and examiner comments.